MA emissions update with catted downpipe Stage 2? I've searched and read through the threads about MA emissions. Does anyone have any updates? It seems that even if I had a catted downpipe (considering buying the CTS Turbo catted downpipe + Borla catback), I would still fail emissions unless I put an 42DraftDesigns O2 sensor "spacer" to the O2 sensor closest to the catalytic converter. Even with above, do I still have to revert the ECU back to stock in order to pass emissions? Or can I keep it in the tuned position? It seems that to have any reasonable power gains, we really need to get a downpipe since the stock catback exhaust is good enough (except that it doesn't sound as nice as an aftermarket one). if you're looking for quick info i'd try Vortex regional forum... wish i had an answer for you. seems annoying. I read the MA emissions testing stuff they have posted. There is no mention of a visual test, it only has to pass ODBII readiness (with no more than one error). That means you can keep all your aftermarket stuff in place including a full 3in turbo back exhaust and yes you will need a spacer to achieve readiness with a hi-flo cat in place. You will not have to change your tune unless you are running one of the APR tunes that suppresses a check engine light, and only some of the APR tunes do that. As far as I have seen none of the other brands of off the shelf tunes do that. Hmmmm... thanks for the info. 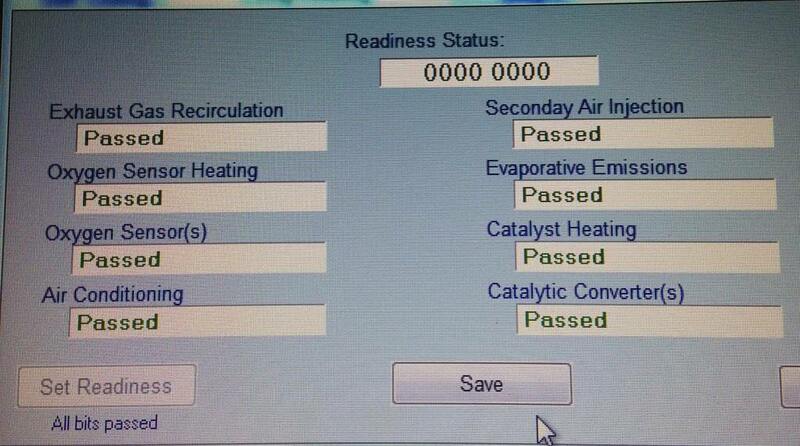 So I go and check my last inspection report and holy smokes (pun intended) my catalyst showed "not ready" and yet I still passed! This is likely because I simply did not drive long enough to get it heated up. I did notice that it also took into account when was the last time any codes were cleared and how many miles drive then. There were no visual cat inspections. You need to buy a Ross-Tech cable, it is an essential tool when you have a modified car. One of the many things you can do is see and clear codes that have detailed information to help troubleshoot issues. They are often for sale on the forum or buy new for 199 but it will be best investment you can make in tools. In the case of emissions you can run the same readiness test to see if you are going to pass before you go for your state inspection. I actually have a COBB AccessPort which allows me to do the above. But I also have an Xtool VAG401 which appears to be the "poor man's" VAGCOM. I am thinking that I would, in fact, pass MA emissions given that I passed the last time even though the cat wasn't ready yet. I suppose I could always "remove the downpipe each time that I leave the track". It seems that it's an easy enough job to do so long as the bolts aren't rust welded on. I refuse to upgrade my downpipe or flash my GTI because of stringent MA emission laws... I had to deal with that crap for 10 years with my catless WRX lol. Stock up on anti-seize and just take 4 hours one Saturday morning and switch crap out lol. i think NH does a visual to confirm muffler being present only.